A rice cooker is one of the most versatile and useful kitchen appliances that people consider investing in. 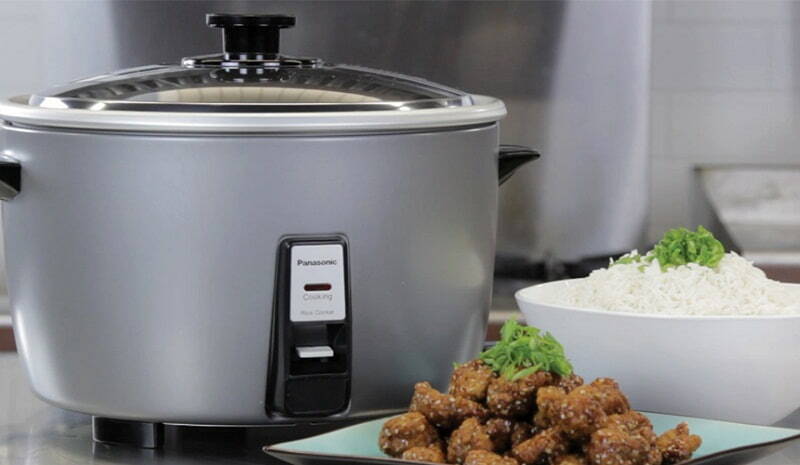 If you love having rice every day, or almost every day then this wonderful appliance can help you avoid experiencing burnt, under-cooked, wet, or mushy results, and instead, you will enjoy a perfect pot of rice each time, and also save time. 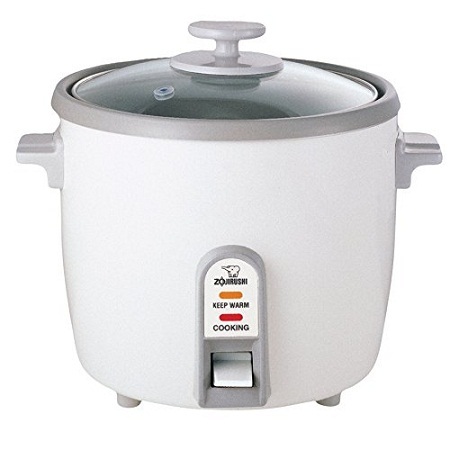 Not only can a rice cooker help you cook rice but also cook stews, soups, boil vegetables, and do a lot more. Though rice cookers are amongst the most popularly used ones, not all of them are the same. So, to make things comfortable for you and to help you find the right one given below are the reviews of the best rice cookers that you may consider. How Many People Will You Feed? Zojirushi NP-HCC1OXH is an advanced rice cooker that ensures you will never have to eat undercooked rice ever again. This cooker will help you make feather touch, grained, and fluffy rice in just a few moments. The NP-HCC1OXH rice cooker works with induction technology that has a heating performance level quite like that of gas but is more efficient. It’s using multi-function menu you will be able to prepare different types of porridge and rice like brown, white, jasmine, sushi, mixed, and others. Its keep warm settings and delay timer allow you total flexibility while cooking. If you have still not completed cooking your other menu items, then you may use the automatic all keep warm setting of the cooker, which will help your cooked rice stay at the perfect temperature until you take it out. Furthermore, with the help of the delay timer, you can set the exact time when you want your rice to start cooking. There are two sizes of the Zojirushi cooker you can choose from 1 liter and 1.8 liters. No matter which one you can choose, the cooker not only does a great job, it looks attractive and is dark gray in color with black borders. It has three heating sources at the lid, sides, and bottom, which ensure even cooking, every time. 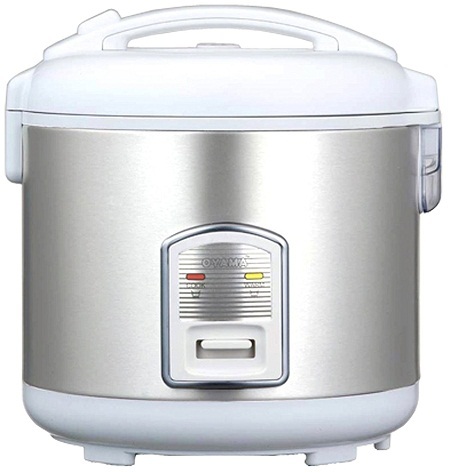 Zojirushi Rice Cooker is rice cooker and warmer designed with the induction heating system. Because of that, the rice cooker makes it possible to adjust the temperature for cooking special kinds of rice. Many cooking functions that you can find in the Multi-Menu allow you to choose exactly what you need for the meal. Rice after being cooked will be automatically kept warm, so you don’t need to worry that you missed the ending time for health-seekers, this gadget has special options for cooking brown rice. Together with the device, you receive a measuring cup so you can always be sure you prepare a correct amount of rice. The Zojirushi is made from stainless steel and fits in any kitchen. Thanks to the material that it’s made from, cleaning it super easy. The inner lid is detachable, and you can quickly wash it. The heat generators are situated on the bottom and on the side of the machine, as well as on the lid, so the heat is spread evenly. The rice cooker has a melody and a beep signal to let you know when your food is ready. 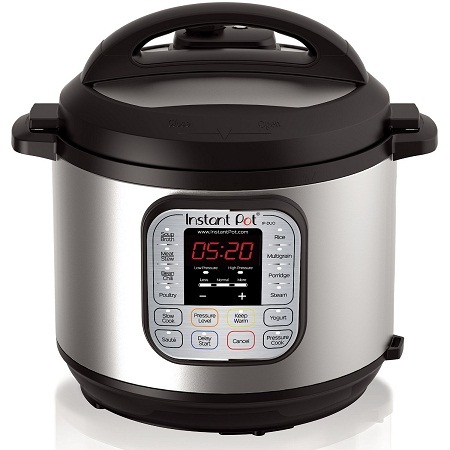 Instant Pot Duo 60 is actually 7 kitchen appliances in one. With this device you get all-in-one: pressure cooker, rice cooker, rice steamer, slow cooker, sauté maker, yogurt maker and warmer. You can choose one of the 14 built-in smart programs that will help you creating plenty of delicious meals. The device is built from stainless steel and the inner cooking pot has no chemical coating. The bottom of the cooker is designed to distribute the heat evenly and adjust the intensity of the heat. The safety of the Instant Pot Duo is guaranteed by 10 safety mechanisms, which eliminate main common mistakes, like spoiling the food or hurting the user. When you will use this programmable pressure cooker you should know pressure cooking before using this cooking device. This rice cooker comes with a set of accessories. You will get a whole package of steel steam rack (with handles), paddle for the rice, soup spoon, a cup to measure the amount of rice, condensation collector and a little booklet with recipes. It’s recommended only to use the Instant Pot accessories to get the best of this gadget. There is another great thing about this rice cooker is the app you can use it. You will get access to more than 300 delicious and healthy recipes, recipe lists and personalized shopping list. You can choose between a few sizes of this rice cooker, to get the option that fits you the best. 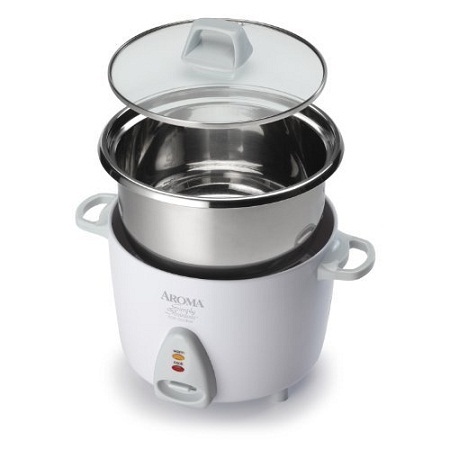 The Aroma stainless steel rice cooker will completely change your cooking experience. It comes with a single switch at the front that you need to push down when you want to start cooking. At this very moment, its red cook light will turn on to show it is working. Once the rice is cooked, the light will turn to yellow, the warm light, which will keep the cooked rice warm. If you want to stop the warming function you need to unplug the cooker. Not only rice, you can also use this stainless steel pot cooker to prepare stew, soup, or oatmeal. It comes with a serving spatula and 6-ounce measuring cup to make things easier. Though it can cook up to 3 cups of uncooked rice, users have also cooked as less as 1/2 cups of rice with ease. Of course, you will also need to reduce the amount of water you add, if cooking such a small amount. If you cook one cup uncooked rice in this cooker, it will take about 20 minutes, and if cooking brown rice then it can take about 40 to 45 minutes. The automatic Keep-Warm option will keep the food warm, even if you are too busy to get to it immediately. The Aroma Rice Cooker with help you prepare your favorite soups, chilies, jambalaya and even more this appliance is perfect for one-pot dishes you can even prepare oatmeal in it. The device comes together with a measuring cup and a rice spatula. The cooking pot is made from stainless steel surgical grade 304 and thanks to that it will fit great in every kitchen. To turn the cooker on you only need to press one switch. After cooking, you can easily remove all the parts of the rice cooker and put it in the dishwasher. The manual also has a grain measurement chart. So, you can use this rice cooker to even cook grains like millet, amaranth, and quinoa, perfectly. 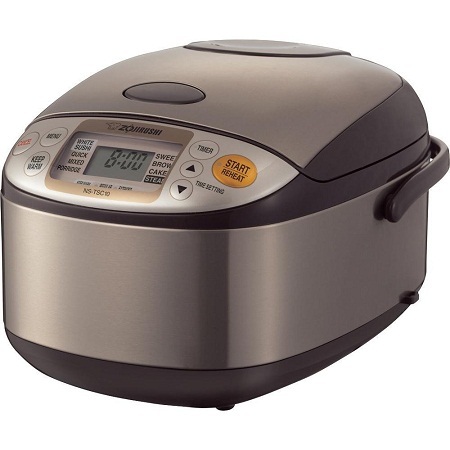 Hamilton Beach made this stainless steel rice cooker with a 14-cup cooked rice capacity. It has a measuring layout that lists foods from two to fourteen cups at a time. The control panel lets you select the heating mode based on the type of rice or other food you have. Separate modes are used for white and whole grain rice plus hot cereal. A basic steam cook option is included. Adjust the cooking time on the unit through an additional button. A delayed start feature allows the cooker to the time when it will start heating your foods. This activates the heating features inside the cooker, so it becomes more comfortable for the cooker to produce quality foods. The steam basket included with the cooker doubles as a rice rinser. It is easy to remove and keeps the rice from clumping together. The rinser then moves back into the cooker and secures well without getting in the way of the lid. The third of the stainless steel rice cookers to see is this seven-cup model from Oyama. The steamer tray and walls are both made of stainless steel to prevent sticking. No non-stick coatings are needed to keep the foods protected. The heating system links to the base and sides while the lid reflects the inside heat, thus adding a full amount of coverage. A keep warm function is also paired with this to produce enough heat. The triple-layered base on the cooking bowl allows enough heat to move through without burning the food. The steamer tray also supports a variety of meats and vegetables that can be cooked. It has an even layout with enough slots to allow steam to move up through the food. This model is around ten inches in diameter and weighs about six pounds. This provides you with a small unit that is easy to add to your countertop. Add up to six cups of foods in this cooker and steamer. The steaming tray is removable and easy to clean off. The inside cooking pan has a non-stick surface. The glass lid has a see-through design. You can identify what is inside the cooker as it works without having to take the lid off. The keep-warm function starts after your food is fully cooked. The cooker produces a small amount of heat to keep the food warm without going hot enough to where it overheats what is inside. The control system uses a single button. A few lights display how the food is being heated or hot intense the heat being generated is. It all comes with a compact and easy to store body that fits well on your worktop. It is around nine inches in diameter and weighs a little less than five pounds before you add food to it. The handles always stay cool. They are separate from the rest of the cooker body to where they will not collect more heat than needed. 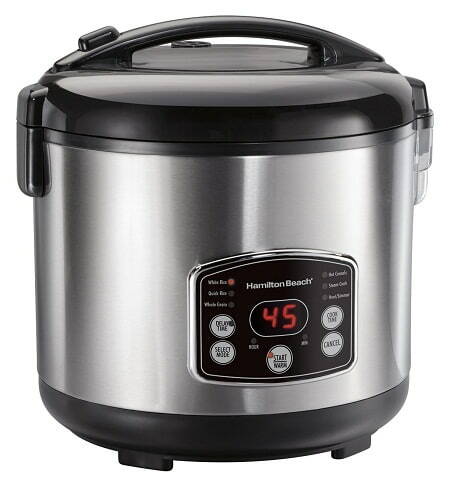 Instant Pot is not only a rice cooker but also a steamer, porridge maker, slow cooker, pressure cooker, browning/sauté, warmer, and yogurt maker. The pot is made of food grade 304-stainless steel and has a 3-ply bottom for even heat distribution and retention. Its lid locks tight and fits properly for pressure cooking. The pot has a very easy to read and simple display. You can either adjust the presets to work according to your needs or let it function as has been programmed. It has 14 microprocessor controlled programs, including poultry, chili/bean, meat stew, soup, and others that you can choose from. The Instant Pot has two pressure cook settings low and high. The low settings help make sure your delicate items will not get overcooked, while the high setting helps reduce cooking time. It has 3 different slow cooks and sautés temperatures that cover various applications. If you use the slow cooker settings you can adjust your cooking time anywhere from 30 minutes 10 – 20 hours. This rice cooker pot is made of stainless steel, is dishwasher safe and easy to clean. Not only does Instant pot makes your cooking job a lot easier, but it also ensures your safety with it’s 10 safety mechanisms and it is also ULC and UL certified. A rice cooker will prove to be an important appliance in your kitchen for time to come, and thus it is essential you select it very wisely. You can consider the below-given points to make your search easier. Make sure you get a rice cooker that has enough room for everything you want to prepare at a given time. Think about how the rice or other foods expand when cooking them. The capacity measurement inside your cooker is based on the finished size of the food after you are done cooking it. Look at the control system and see how well you can adjust it. Some rice cookers come with just one control setting while others can handle multiple settings at a time. Check for any timers that might be included. You might need to get your separate timer out if you have a model that does not contain one. You can see how easy it is to clean out a cooker. A quality cooker model should come with a basket that is easy to wash off. The stainless steel inside should also be smooth and non-stick without any chemical additives included. Watch for how well your steamer can heat foods. A steamer needs to produce enough heat to move all the way through your food. A quality model should especially feature a soft body. Check on how well steam can be kept inside the cooker. The lid should be capable of securing enough steam without letting too much out. The basket and other compartments inside the cooker should fit properly. See that your model comes with parts that seamlessly move into the cooker without sticking out or otherwise being too difficult to handle. What is the best stainless steel rice cooker? Well, the answer to this question can still be tricky. Rice cookers, even if they are basically the same devices, can vary when it comes to extra options. The attached equipment can be an important issue as well. No need for nerves of steel. Stainless steel, which the best rice cookers are made from, is a great material when it comes to cleaning it It also makes a rice cooker a great gift for everyone, because stainless kitchen appliance will always fit and it won’t be an awkward present that people don’t know what to do about. Table for ten, please! It doesn’t make a fact if you live alone or have a big family having a choice is always great. Depending on your needs and decisions you can pick the size that is the best for you. There is a wide selection of many different sizes, so definitely you will be able to find the one that you need. Rice 3 times per day? With the new technologies, rice cookers are perfect for cooking not only rice. You can prepare a variety of delicious meals, such as soups, porridges, chilis, stews and you can know how to cook the perfect brown rice in the rice cooker. Rice cookers are available in different capacities, and generally, it is mentioned how many cups of uncooked rice you can add. The ratio between cooked and uncooked rice usually is 1:2. One cup of uncooked rice would be good enough for 1 person. So, you need to think about how many people you will feed on a regular basis while choosing a cooker for yourself. A rice cooker, as you know by now, comes with various features. Again, it is important for you to think which features you will need, as the price of a cooker can also vary depending on how many features it offers. Would you cook just normal white rice, or you plan to cook varieties? Does the little difference in the cooked rice texture matter to you, or do you never even consider it? Is quick cooking essential for you to? Will you be using the cooker for cooking anything else apart from rice? Asking such questions will help you find the right cooker with the right features. Basically, a rice cooker is not so complicated and all you would need to do is understand the menu setting. The cookers come with a user manual and also videos that help you know how to use and clean the cooker. But still, different cookers are extremely different. The ease of use and cleaning will also vary, and it will be wise to understand the same, particularly if you are always short of time. A stainless steel rice cooker is indeed a very helpful kitchen appliance, which once you start using you will never be able to do without. As the market is replete with so many varieties it only increases your responsibility of finding the right one. So read our expert reviews and find your best one which you need. Your budget certainly needs to be considered, but never give importance to the price alone. If you can enjoy extra helpful features just by paying a dollar or two extra then that will prove to be a wise decision in the long run. Now that you know what to look for in a rice cooker, and also are aware of some of the most popular models, waste no time, get the best one, and enjoy cooking. An excellent rice cooker makes a real world of difference when you’re aiming to prepare great foods. A stainless steel cooker is even better as it doesn’t have sticky surfaces and is also easy to wash off. With all these points in mind, the Hamilton Beach 37548 cooker is the best model to use. 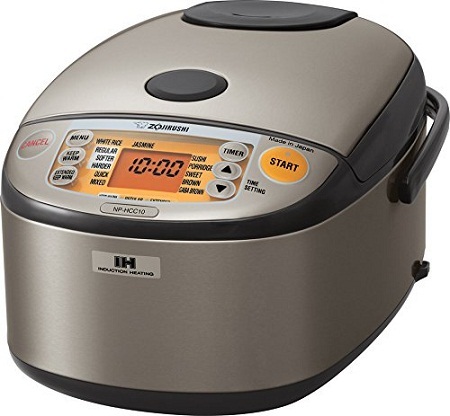 The Hamilton Beach rice cooker offers a more versatile setup for cooking foods. The control system is easy to read too. It only takes a few moments to clean out the cooker too. This offers a simple layout that is easy to prepare many foods with. 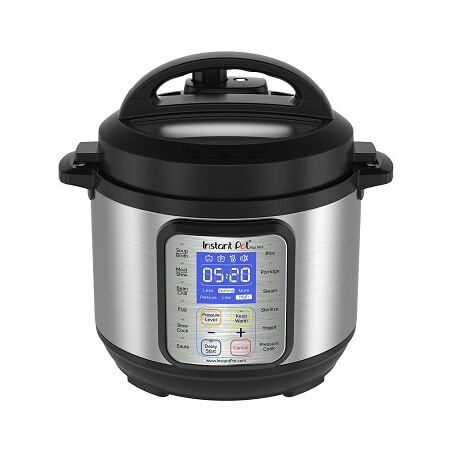 And the winner is taking into consideration all of the aspects mentioned above; I think the best stainless rice cooker award goes to Instant Pot DUO 60. This device gives you plenty of cooking options, biggest size choice, and the best assortment of extra accessories. The safety mechanisms make it easy to use even for young teenagers. Another thing supporting this decision was the application that comes with the cooker. Of course, you can find many great recipes on the Internet. But the idea that you can be a part of this app, enjoy it in many ways, and have inspirations for more healthy dinners equals a big plus for the Instant Pot DUO 60 and makes it a winner.